All Monmouth homes currently listed for sale in Monmouth as of 04/26/2019 are shown below. You can change the search criteria at any time by pressing the 'Change Search' button below. If you have any questions or you would like more information about any Monmouth homes for sale or other Monmouth real estate, please contact us and one of our knowledgeable Monmouth REALTORS® would be pleased to assist you. "Award-winning Elkhorn Vineyard with 20.19 acres of Pinot Noir and .57 acres of Pinot Gris/Pinot Blanc. Net income producing operation selling fruit to top vineyards. Majority of remaining 44 +/- acres are plantable with primarily Willakenzie soils at 375'-470' elev. Custom 2-level upscale home with granite, tile, deck & hot tub. Spectacular views of the vineyard, Mt Jefferson, Mt Hood, 3 Sisters and Cascades. Winery license included." "One of a kind equestrian facility with true Willamette Valley Views. Gated, miles of vinyl fencing, multiple loafing sheds. High end triplewide with detached garage. Facility offers an office, an employee lounge, bathroom, tack room, feed room w/silo conveyor, heated wash rack, lab, breeding facility, laundry room, 13 stalls in fri"
"Majestic views abound from this incredible country estate! Welcome to Dogswood. This listing features two tax lots totaling over 98 acres. One tax lot has two homes on site, one is rented. The other sits atop a beautiful hill with a truly stunning view. Marketable timber, water rights, usable farm land and room for horses. Complete with multiple barns, don't miss the virtual tour for a fuller picture of all this estate has to offer." "Not your 50's house! All redone with stunning kitchen and baths. Hilltop privacy with views forever and 24 acres to farm.Tranquil setting with a spacious grand custom 4700 sf 4 bedroom (or more) and another 2 BR second home right next door. Park-like site with barn & stocked pond, ideal for wedding venues, retreats, winery, horse ranch or you name it. Family room is 1350 sf. Great soils and drainage (currently grass seed-continued lease"
"Grand Victorian home (Blt 1995) on a private 10 acre paradise at the end of road. View. Beautiful cherry wood staircase. Remodeled kitchen incl granite cntrtops, SS appl, new hardwd flrs, pantry & butler's pantry. Master w/private deck perfect for relaxing. Lg living rm, family rm, formal dining, parlor & library. Lower level w/2 bedrms, hobbie rm/office, kitchen & living rm great for dual living. New roof. Shop & Barn. And a secret rm!" "All redone with stunning kitchen and baths. Hilltop privacy with views forever and 10 acres to farm. Tranquil setting with a spacious grand custom 4700 sf 4 bedroom (or more) and another 2 BR second home right next door. Park-like site with barn & stocked pond, ideal for wedding venues, retreats, winery, horse ranch or you name it. Family room is 1350 sf. Great soils and drainage (currently grass seed-continued lease"
"Woodworkers dream. Large heated 24/36 barn w/ loft. Just outside picturesque Monmouth Oregon and near Western Oregon Campus amongst farm feilds and beautiful scenery. Home has beautifuly converted attic Must see to appreciate. Potentially marketable trees. RV parking with electric. New septic 2018"
"This 4 bed 2.5 bath home is nestled in one of the most highly desired neighborhoods in Monmouth! 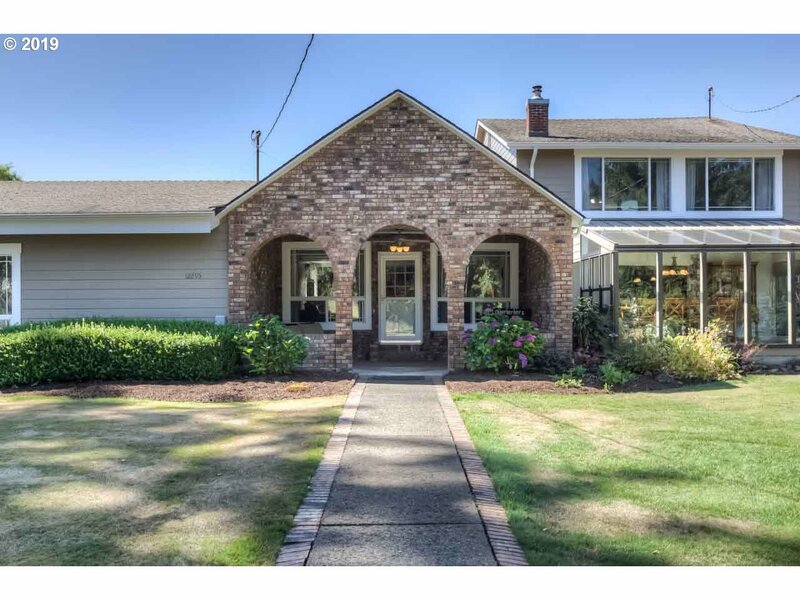 Close to WOU, just minutes from HWY 99, this well maintained home has character and class! Updated quartz counters, remodeled bathrooms and attention to detail. The stunning curb appeal invites you into a spacious home with plenty of room, comfortable atmosphere, and a certified wood burning stove. Incredible backyard you won't want to leave"
"ATTENTION INVESTORS! Two houses & two taxes lots being sold (689 & 693 Main St.) Multi-family zoning with so much developmental potential (multi-family high rise apt. zoning). Two lots total almost 17,000 sqft. Seller refinishing original hardwoods in 693 Main. Near Western Oregon Univ campus, dining, and shopping in Monmouth."